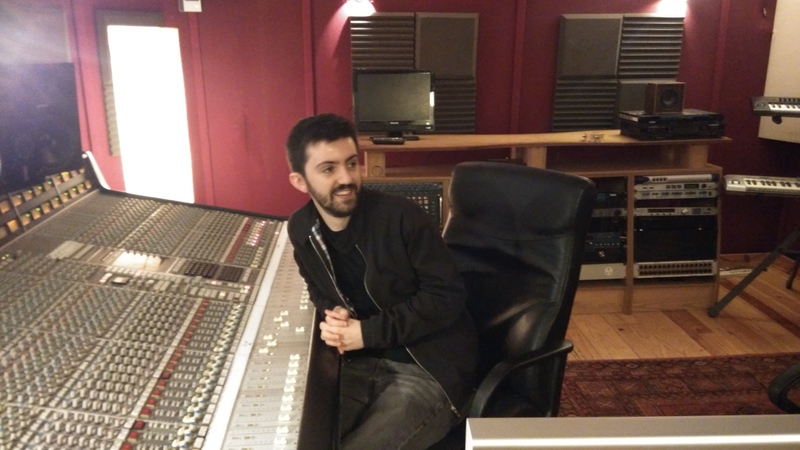 Jamie McEvoy is currently working as the resident in-house Assistant Engineer at The Pool Recording Studio in London, the studio is jointly owned by Miloco and producer Ben Hillier. He has worked with countless big names including Noel Gallagher, Placebo, Years & Years, Emeli Sandé, The Wombats, Skepta, Mumford & Sons as well as Stephen Street, Catherine Marks and James Ford. Jamie graduated from the Sound Training College in 2012 and has worked in a number of different studios across Ireland and the UK. We recently got a chance to chat to Jamie about his experience in STC and working in the music industry. After an unsuccessful course in Maynooth, I knew I wanted to do something in Music, so I looked for audio courses and found STC with the help of a google search! I got in touch and was invited in to have a look around and get a feel for the place. What did you like about STC? When I first came in for an interview and I got to look around the studios I instantly knew that this was the place for me. The hands-on approach and the mentoring you get from the lecturers is invaluable. There is always someone you can talk to if you’re looking for advice on a mix or if you need anything. How did you become a resident assistant in The Pool? After graduating I did some work in Grouse Lodge, where I got to work with Paolo Nutini which was really cool. From there I got put in touch with Marc Carolan, who does Muse’s front of house, and began working in his studio in Baggot St. for about a year and a half or so while he was away. From there, I was put in touch with people over in London and was given some a chance through some work experience and, long story short, that ended up leading to where I am now in The Pool. Who have you worked with to date? I’ve done a bunch of stuff, one of the first sessions I worked on in London was with Noel Gallagher which was really amazing! I’ve done stuff for Placebo, The Wombats, Years & Years, The Vaccines, Mumford & Sons, Emile Sandé and Skepta. I’ve also done stuff with Stephen Street, Catherine Marks and James Ford. Could you give us an example of what a typical working day for you would be like? Yeah sure, basically we provide 12 hour days, so I will probably be in an hour before and a hour after for set-up and prep for the next session coming in. Obviously it all depends on the style of session we have booked, it could be a recording, production or writing session which all play out differently. We do a lot of drum recording stuff so there’s a lot re-skinning drums, trying different house kits, mixing and matching, trying to get the right sound, then we’ll move onto tracking and editing until we get what we need. Were the staff at STC helpful after you graduated? Absolutely, everyone from the head of the college down played a vital part as they were always available to assist me with anything I needed. During the slower days after graduation when there was less work I could go to them and they would help point me in the right direction and offer advice which helped me in the long run. Do you have any advice for anyone interested in pursuing a career in the music industry? Yeah, it can be really tough out there, the music industry is not what it used to be. Listen to what people tell you, know when to ask questions and when not to. If somebody asks you to do something make sure you know exactly what they want. I’ve been at sessions where assistants will be asked to grab a particular piece of gear and they come back with the wrong one and, you know that just delays sessions. Thanks a million to Jamie for taking the time out for the interview!